Tom Bradshaw has paid tribute to Barnsley for their understanding in allowing him to complete his £1million transfer to Millwall. The 26-year-old has moved to the Lions on loan until January when the deal will become permanent. Bradshaw, who has been chased by the Championship club all summer, was keen to move south in order to be with his pregnant girlfriend. The striker put out a heartfelt message on Twitter, in which he thanked the club and backed them for success under Daniel Stendel. 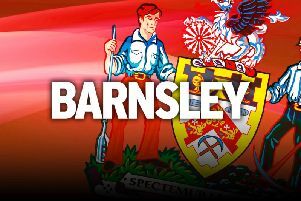 He said: “I would like to thank everyone involved with Barnsley Football Club. From the gaffer, coaching staff, team-mates and all of the other ground staff, everyone has been superb with me. “For my own reasons this has been a move which has been perfect for me and my family and we are forever grateful of how understanding the club has been. “I have so many great memories at Barnsley that I will never forget and the fact they have allowed me to ply my trade in the Championship is something that I'll always be thankful for. “The fans welcomed me and my family into there home and made us all feel welcome. Chief executive Gauthier Ganaye was reluctant to accept defeat in the club's bid to keep Bradshaw but is immediately looking to the future. “We understand that our fans will naturally be disappointed,” he told the club's official website. “This is part of football and when a valuation is met that suits all parties, the board of directors have a decision to make together, for the long-term stability of the club. “We were determined to keep Tom at Oakwell, but we were always prepared if he did go and we now want to reinvest the money in the targets identified.